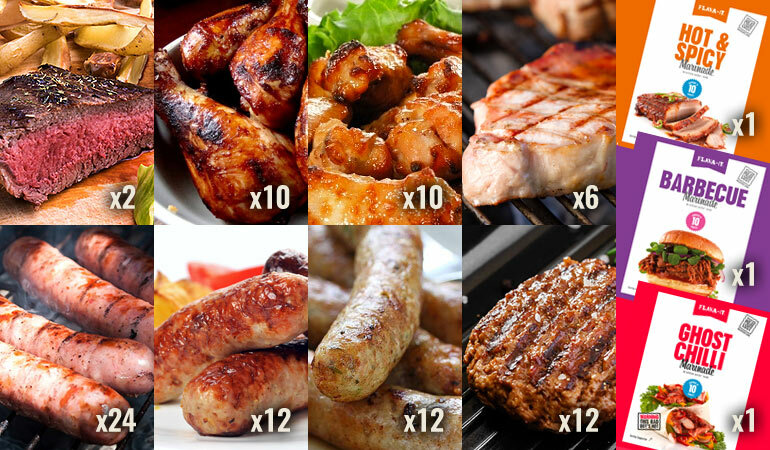 With plenty to go around this box is ideal for your family BBQ. Premium quality meat at a special offer price. Including 3 packs of dry marinade, allowing you to flavour your meat to your own liking. Take a look to the right at what's included. We are confident you will not see an offer like this elsewhere!